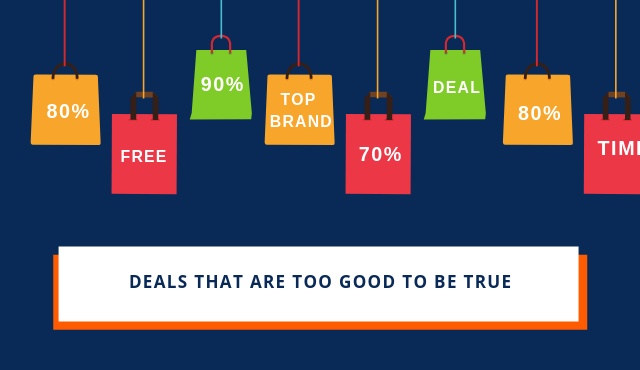 Getting a deal is awesome and as competition has grown in the retail sector, the number and frequency of sales has increased— both offline and online. We all know that nagging question when seeing a fantastic offer: Do I really need this? In fact Forbes states that discounted price (and various tactics around it such as artificial scarcity) can have a profound effect on the likelihood of buying on an impulse. But of course scammers have also caught onto this fact. They are actively exploiting consumers love for a bargain to scam them out of their hard-earned cash online! In fact Which? (charity consumer protection organisation in the UK) estimates that online shopping scams cost shopping £58 million a year in the UK alone! How exactly are scammers achieving this? Well nature of the internet makes things a lot easier to set things up. First of all any online shopping scam requires an online shop of course! Often this is set up using a template or readymade ecommerce shop that can be created quickly and easier for the scammer, yet looks convincing enough at first-glance. A recent example is My Pillow, which uses the Shopify platform. In a recent article from Ad Age the owner Mike Lindell expressed his outrage when his store mypillow.com was copied by a fake using the very similar mypillowstore.com… pretending to sell his products! With low monthly costs, and a relatively easy set up process platforms such as this make it a cinch for a scammer to open up their scam ecommerce business. Often times the kinds of goods that are chosen to scam users with are high value, high demand branded goods. Our own analysis during the holiday period of 2018 <link to article?> found that brands such as Adidas, Beats, Canada Goose, Fred Perry, KitchenAid, Lego, LG, Nike Ray-Ban and Ted Baker. We found that well known brands and items that have a high luxury/monetary value are often used for fake online store scams. Scammers are lurking around all year ‘round. Yet there are particular time of year that concentrate ecommerce sales (depending on the region). This could be the Christmas rush, Black Friday, Single’s day etc. Scammers know that during this period, shoppers can stray away from more mainstream ecommerce websites when their sought after item is out of stock or won’t be shipped in time. Now this is a rather shameless example. The website has taken branding from a famous brand (in this case Lego) and then created a basic website around this. Official Lego products are often rather expensive items, and are in high demand especially during the holiday period. Exclusive: Example ‘too good to be true’ scammers from our database! Now you’ve heard enough about these kinds of scam site… time to show you some examples from our very own database! TGTBT exhibit 1: http://cclonns.com/ - Christian Louboutin’s for $140? Please…..
TGTBT exhibit 2: holidayashop.com – Tools on the cheap… think again! 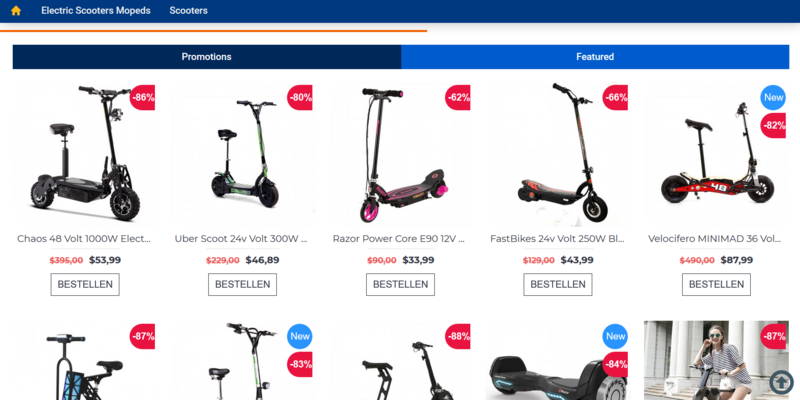 TGTBT exhibit 3: heyvips.com – You won't be riding away with a scooter... they'll be riding away with your cash! Be careful out there… and if in doubt think twice!